Dubbed the Ocalele of Time, this is an Ocarina of Time-inspired, handmade ukulele that also happens to look like an ocarina (albeit with tiny guitar parts attached). 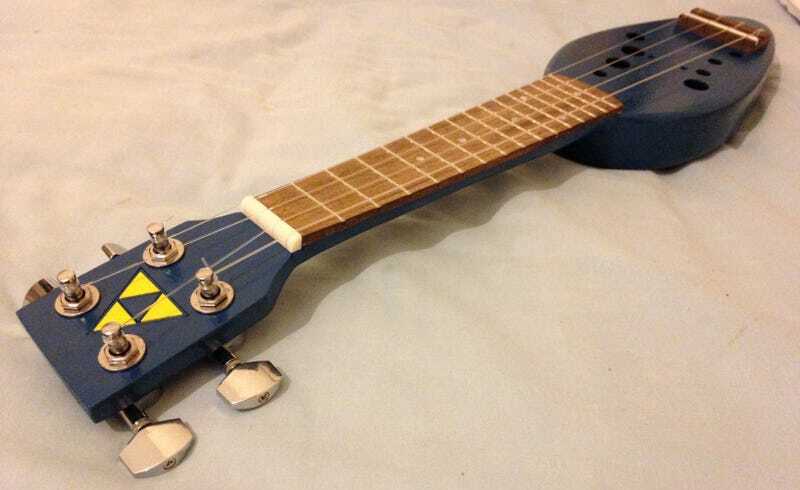 It was made by Nobo13, a man on a mission to craft one ukulele a month. He’s made two other gaming-themed instruments so far: one with a Triforce wood burn in last December, and another engraved with Mega Man characters in August. His most recent one has a spray-painted Triforce on its head, and multiple sound holes corresponding to an actual ocarina’s holes on the body—including “thumb holes” on the other side, as the photos below show. You can listen to/watch the Ocalele in action in the vid below.